Do you enjoy earning rewards from taking surveys? Do you want to add another legitimate survey site to your list? Then you'll want to read on for our Harris Poll review to learn how to sign up, what you can earn, what people say, and more important details about this survey panel. 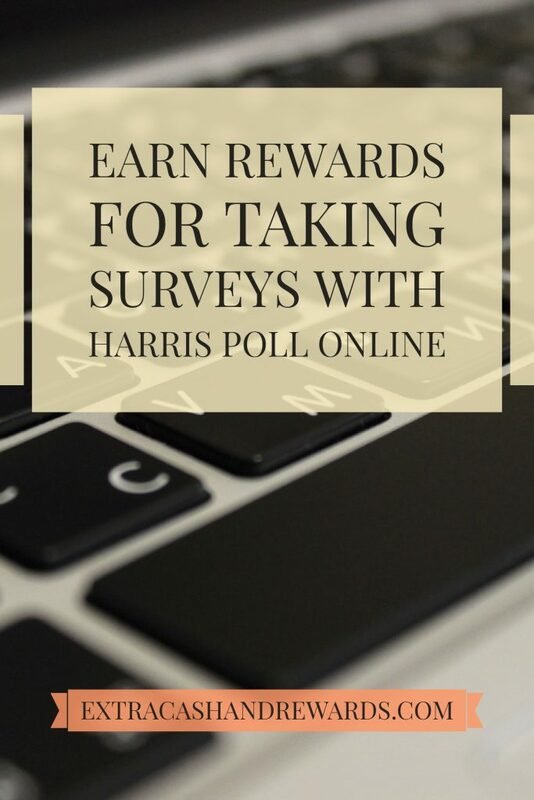 Harris Poll is a legitimate online survey panel you can use to take paid surveys and earn rewards in exchange for your time spent. This company has been around since the 60's. Harris Poll membership is free, and participants must be at least 13 years old in the US or Canada and 14 years old in the other 200 countries that participate. How Does Harris Poll Work? Surveys are taken on a wide array of topics including everything from politics to products. Panelists who participate in these surveys are given chances to win HiPoints or HiStakes. HiPoints are redeemable to places like Amazon, Starbucks, and iTunes. HiStakes are the sweepstakes that Harris Polls offers you a chance to enter. HiPoints take 24 to 48 hours to appear in your account once you've completed a survey. If for some reason you don't qualify to complete a survey you start, Harris will still give you 15 HiPoints for your time spent. Not a lot of survey panels will do that! This makes Harris Poll one of the few survey sites with guaranteed rewards you can join. Is It Free to Join Harris Poll Online? Harris Poll Online is free to join, just like any legit survey panel should be. If you are ever asked to pay to sign up for a panel, you are being ripped off. To join, just sign up with a legitimate email account, and then verify it once Harris sends you a verification link. You'll need to monitor this email to get your Harris Poll survey invitations. What Harris Poll Rewards Do You Get For Your Time Spent? You really don’t earn money. Instead, you earn HiPoints redeemable towards rewards at places like Amazon, iTunes, and Starbucks. There is no option to redeem for Paypal cash or Visa cards. The only time you ever “earn” money is if you are fortunate enough to win the HiStakes or sweepstakes which can be up to $10,000. It's necessary to have at least 100 HiPoints to redeem for anything. Most $10 gift cards are around 1,250 points, but Harris Poll is fairly generous with the amount of points they reward you per survey. It can take up to two weeks or possibly longer to receive your rewards once you redeem them. What Are Other People Saying About Harris Poll? They are screened out of surveys when they are nearly done with them. Customer service is not responsive. They don't get enough surveys. There are other complaints, but those are the primary ones I see. There are some good reviews, too. The best thing to do if you're curious about Harris Poll is give it a go for a bit and see what happens with you. You might have a better experience. If not, you can always cancel your account. How Do You Sign Up at Harris Poll Online? Go to the website and click on Join Our Panel at the top navigation bar. Fill out the form there. Good luck and have fun earning your own HiPoints and HiStakes! Let everyone know in the comments how Harris Poll has worked out for you. P.S. – If you want 10 new extra cash ideas sent to your inbox each week, don't forget to subscribe to our extra cash newsletter!